Small bakers couldn’t compete with the giants created by Allied Bakeries, so they turned to science. That produced the Chorleywood bread process, which gave them a quicker, cheaper loaf. Unfortunately, the giant bakeries gobbled up the new method too. More and more small bakeries went out of business as a loaf of bread became cheaper and cheaper. Was it worth it? You tell me. 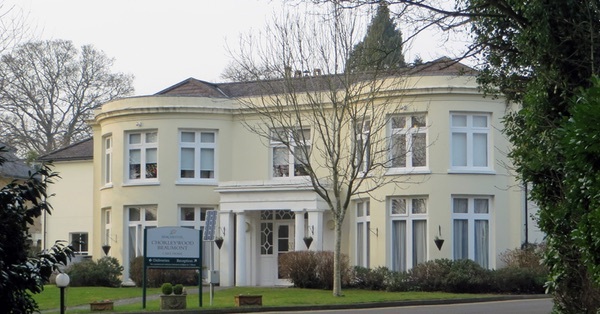 Photo of Beaumont House, former HQ of the British Baking Industries Research Association, where the Chorleywood Bread Process was invented, by Diamond Geezer. It is now a care home. @tuerongfarm You’re welcome. Glad you are enjoying them. @vineyardbaker Thank you. That makes me very happy. Amy Halloran liked this article on instagram.com. Debra Rice liked this article on instagram.com. Eric Fletcher liked this article on twitter.com. Perhaps there's more to flour fermentation than the bubbles that lighten the loaf.